With the UK market now having been exceeded by Germany as the largest in Europe, it nevertheless grew 9% last year, hitting a record of about 1.8 million Brits having taken a cruise in 2015. With this in mind, three cruise lines that have in the past offered UK departures, namely MSC Cruises, Norwegian Cruise Line and Thomson Cruises, have announced that they will be returning in 2017. Meanwhile, in France came big news of an order for four 200,000-ton 5,500-lower-berth giants from STX in St Nazaire. Regarded as important economic news in France because of the jobs involved, François Hollande participated in the announcement from L’Elysée. Finally, the newly delivered Ovation of The Seas arrived in Southampton yesterday. Three cruise lines that have sailed from UK ports in the past are set to return next summer, with MSC Cruises, Norwegian Cruise Line and Thomson Cruises all scheduling new ex-UK departures for 2017. As a preliminary to 2018, when it intends to place a full-time ship in the UK, MSC Cruises will be offering ex-UK cruises on the 3,502-berth MSC Preziosa. These 2017 sailings will be mainly 7-night itineraries to France, Belgium, the Netherlands and Germany. MSC withdrew from the ex-UK market at the end of 2014 but demand has been such that it has already allocated part of its Hamburg allocation to Southampton embarkations for this summer. At the same time, Norwegian Cruise Line announced that Norwegian Jade would be offering cruises from Southampton in 2017, a return to the UK after a seven-year absence, with her first departure scheduled for May 12. From Southampton, the Norwegian Jade will sail 4-night mini-cruises to Hamburg and 7-night cruises to Hamburg, Amsterdam and Zeebrugge plus 9-night Norwegian Fjord cruises. This return to Southampton is the first stage in Norwegian’s plan to double the size of its UK market by 2020. This follows 20% growth in 2015 and will involve a full summer season of UK departures. Meanwhile, Thomson Cruises will be sailing out of Newcastle, offering ten new itineraries ranging from 4 nights to 14 to the Fjords, Scandinavia, the Baltic and Iceland. 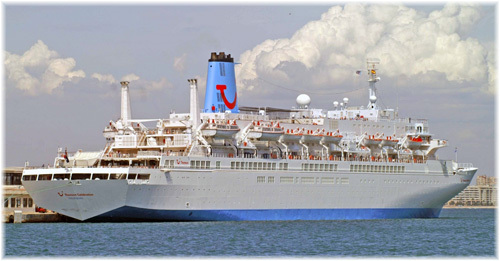 These cruises will be performed by the 1,254-berth Thomson Celebration. Like MSC, Thomson last offered ex-UK departures in 2014. 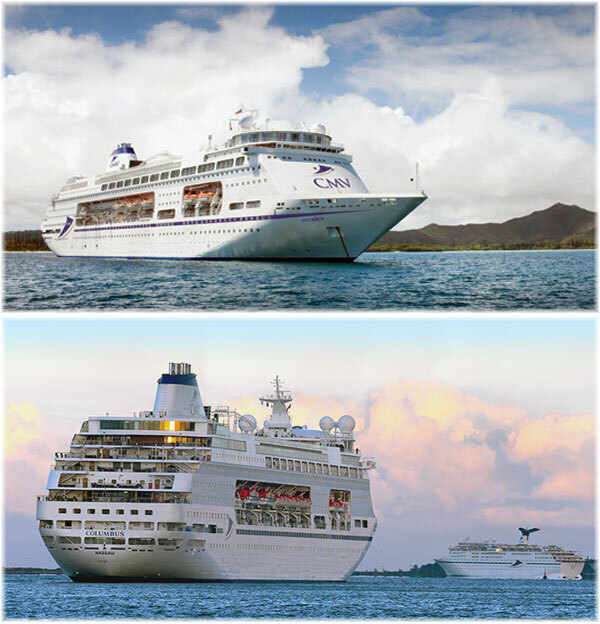 In addition, Cruise & Maritime Voyages will be adding its new flagship, the 1,400-berth Columbus, from Tilbury. The Columbus will offer 150 single cabins and her cruises will be adult only (above 16) except for two family departures in August. 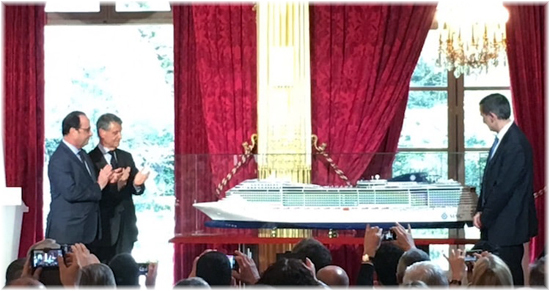 Last week, MSC Cruises of Geneva announced the signing of a Letter of Intent with STX St Nazaire for four massive 5,500-berth liquid natural gas-powered cruise ships, news that was regarded as so important in France that François Hollande participated in making the announcement from L’Elysée. The ships, which will constitute MSC’s new World class, are to be delivered between 2022 and 2026. These latest orders, valued at €4 billion, are on top of four Vista and Vista-Plus class ships under way at STX and three Seaside class from Fincantieri in Italy. MSC is already in possession of ten ships built at St Nazaire between 2003 and 2013, at a cost of €6.5 billion, while the four Vista and Vista-Plus class ships are costing €3 billion. The total so far invested in France, therefore, and not including the orders placed in Italy with Fincantieri is €13.5 billion. Meanwhile, MSC Cruises, which has traditionally registered its ships in Panama, has announced that it will switch its fleet to EU registration, with the news that in future its ships would fly the flag of Malta. The third and final (at least for now) of Royal Caribbean International’s trio of Quantum class ships, the 167,800-ton 4,180-berth Ovation of the Seas arrived at Southampton yesterday. From this Thursday, April 14, she will run a short series of cruises out of Southampton before proceeding to the Far East, where she will be based in Tianjin. On May 3, Ovation of the Seas will leave Southampton for the last time as she commences a 52-night voyage to China, reaching her new homeport of Tianjin on June 24. She will be the largest ship to be based in China and the first newbuilding to be assigned to that market. This autumn, she will head for Australia, to become the largest ship ever to have served that market as well. The Sydney-based cruise consortium Cruiseco have taken an exclusive charter on the ship to bring her from Singapore to Sydney, departing Singapore on November 30 and arriving at Sydney on December 15, in time for Christmas. The vessel is too large to berth at Melbourne so Melbourne passengers will have to disembark at Hobart in Tasmania. Cruise only ares for the Singapore to Sydney cruise begin at £1,380 inside, £1,760 outside and£2,370 balcony for two passengers in double occupancy.